Zoltán Kodály (ˈzoltaːn ˈkodaːj) (December 16, 1882 – March 6, 1967) was a Hungarian composer, ethnomusicologist, educator, linguist and philosopher. His efforts in the field of ethno-musicology with his countryman, composer Bela Bartok, contributed to the interest in collecting, studying and documenting folk music of indigenous cultures. This aspect of his musical life, along with his concerns about education, was as important as his composing. Through his pioneering efforts in ethno-musicology he fostered a condition conducive to the dissolution of cultural barriers and in so doing, provided a greater understanding of other peoples through the art of music. Kodály's family moved from their home in central Hungary to Nagyszombat in the north-west part of Hungary where he became proficient at the piano, violin, and cello without any help from formal teachers. In 1898 he wrote an overture for the school orchestra which received positive reviews—"a dynamic talent"; and upon graduation he went to Budapest where he enrolled at the University of Philosophy, and studied Hungarian and German languages and literature. He also studied at the Academy of Music where he received his Diploma in Composition. From 1900 through 1904, he attended Eotvos College in Budapest and perfected his knowledge of English, French, and German, all the while composing music. He received his teacher's diploma in 1905 and through a chance meeting became life-long friends of Bela Bartók. At Bartók's urging he went on tour to collect Hungarian folk music. He received his Ph.D. after writing his dissertation on "The Stanzaic Structure of Hungarian Folk Song." 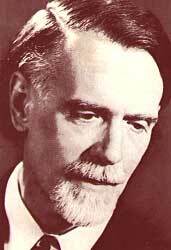 Kodály received an appointment as teacher at the Academy of Music in Budapest and continued composing prolifically. Kodály went to Paris where he studied with Charles Widor. There he discovered, and absorbed influences from, the music of Claude Debussy. He continued his folk music-collecting expeditions through World War I without interruption. In 1910 Kodály and Bartók put on joint concerts with young musicians. Although critics scorned their efforts, the dates of these concerts are celebrated as the birth of modern Hungarian music. During this time he married Emma Sandor. Sandor was a gifted musician and translator approximately 20 years older than Kodály. A significant aspect of his work in composition was his ability to fuse Hungarian folk music with the European music tradition. Due to the political climate of Hungary during the early twentieth century Hungary and Austria had economic and political ties. The music of the Hungarian upper class was Viennese Classical music and the language spoken by educated Hungarians was German. The peasant population, on the other hand, spoke Hungarian and had a thriving folk music tradition of its own. Yet this distinctly Hungarian music was not regarded highly by both professional musicians and the upper class that made up the concert audiences. Kodály and his countryman, Béla Bartók, tended to de-emphasize European musical culture and increasingly turned their attention to native Hungarian folk music traditions. As a result, Kodaly's work was not immediately accepted by " the establishment" who regarded this folk-influence music to be uncultured, and unrefined. Yet, undeterred, Kodaly made numerous expeditions to collect and transcribe folk music. In a number of his compositions he began to incorporate actual folk melodies that he had gathered. In 1921 and 1937, Kodály and Bartók published two significant books on the subject of Hungarian folk music. The quality and scholarship of these works caused them to receive worldwide recognition in the field of ethnomusicology. He continued to compose for professional ensembles also, with the Dances of Marosszék (1930, in versions for solo piano and for full orchestra), the Dances of Galanta (1933, for orchestra), the Peacock Variations (1939, commissioned by the Concertgebouw Orchestra to celebrate its fiftieth anniversary) and the Missa Brevis (1944, for soloists, chorus, orchestra and organ) among his better known works. The suite from his opera Háry János (1926) also became well known, though few productions of the opera take place. It was first performed in Budapest and notable conductors such as Arturo Toscanini, Willem Mengelberg, George Szell, Antal Dorati, Fritz Reiner, Erich Leinsdorf, Eugene Ormandy and Wilhelm Furtwangler have included this colorful piece in their repertoires. Kodály also made a considerable contribution to chamber music, notably a virtuosic sonata for unaccompanied cello, and a half-hour-long Duo for cello and violin. In his later years Kodály was president of the Hungarian Academy of Sciences, president of The International Folk Music Council, and honorary president of the International Society for Music Education. In addition to his more than busy schedule, Kodály spent a great deal of time visiting schools and talking to music educators. He was actively involved in the development and refinement of music textbooks and other materials for use in the classroom. One educational technique that he became noted for was the advocacy of "hand signs" as a way to develop singing with proper intonation. The system of associating the practice of solfege (singing with syllables, do-re-mi, etc.) with hand sings was developed by John Spencer Curwen (1816-1880) an English Congregationalist minister, and founder of the Tonic Sol-fa system of musical teaching. These signs are a method of assigning a physical placement for a vocal pitch with a particular hand position. Kodaly utilized and developed this technique for teaching music with great effect. Kodály subsequently became very interested in the problems of music education, and wrote a good deal of educational music for schools, as well as books on the subject. Some commentators refer to his ideas as the "Kodály Method." On the day he died, March 6, 1967, he was to carry out one of his many school visits. In 1966, the year before Kodály's death, the Kodály Quartet, a string quartet named in Kodály's honour, was formed. "Home Page" The British Kodaly Academy. Educates musicians according to Kodály's practice The Kodály institute. This page was last modified on 24 June 2014, at 19:00.